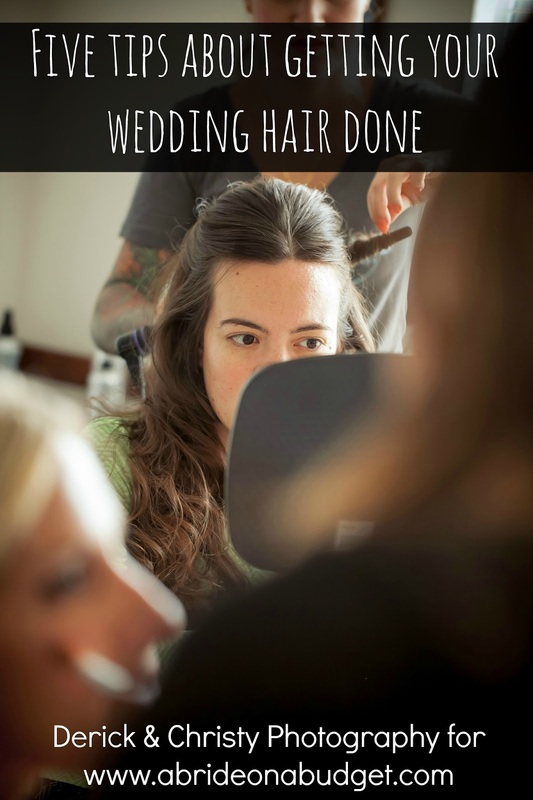 Wedding planning is stressful. Trust me, I know. It's why people plan honeymoons. You just need a vacation after all that stress. The last thing you want is to start your honeymoon off with a stressful time at the airport. You just want to get on your flight and get your trip started. You don't want to get stuck. 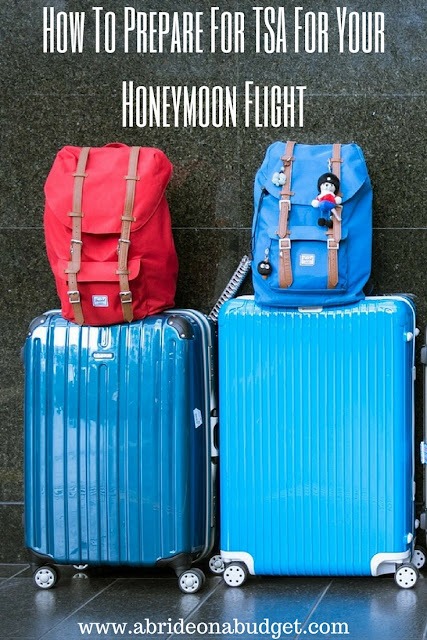 I have a great list with tons of tips for how to prepare for TSA for your honeymoon flight. When you get to security, you'll be asked for your boarding pass and license. If you take those out and have them ready to go, you'll breeze through the first checkpoint. It's so much easier than fumbling through your purse to find your wallet. After you get through, you won't be asked for your ID anymore, so put that away. Keep your boarding pass handy, though, because you will need it at the gate. New in 2018 will be the rule that some state's driver's licenses are not compliant with requirements to board a plane. So, if you live in Kentucky, Maine, Minnesota, Missouri, Montana, Oklahoma, Pennsylvania, South Carolina, and Washington, you'll also want to bring your passport with you. There is no worse way to start your honeymoon than by not being able to get on the plane (unless your state become compliant with the Real ID rule by then). Wear slip on shoes. And socks. You will still be asked to remove your shoes. So as cute as your wedding heels are, they aren't your best bet for airport security. You'll have to take them off, leaving you with named feet as you walk through security. Eww. Just eww. Instead, get yourself a pair of cute slip on shoes, wear a pair of fun socks, and you won't cringe as you walk through the metal detector. Before you even get to security, check your pockets. Anything in them -- loose change, lip balm, etc. -- will need to come out and go in a bin. Then you have to collect it all and put it back in your pockets. It's a little bit of a pain. If your pockets are empty to start, you can breeze right through. Belts have to come off. And if you are wearing a cute belted sweater dress, well, you might want to reconsider your travel outfit. That belt has to come off as you go through the metal detector, so it's just easier if you choose a belt-free outfit. This one was news to me, but I only started wearing a necklace daily in November. If you're wearing a necklace with a pendant, flip it around so the pendant is in the back. That way, if the necklace does set off an alarm, it will be on your backside, so the security officer will wand you in the back, not the front. If you're bringing a laptop with you on your honeymoon, it has to travel separately through security. The charger and other electronics, such as a phone and iPad, can stay in your carry on. But the laptop has to come out. So make sure you have it accessible. Maybe stick it by itself in your purse. That way, when it is your turn, you can quickly place it in a bin instead of spending time digging for it at the bottom of your luggage. Put liquids in a separate bag. 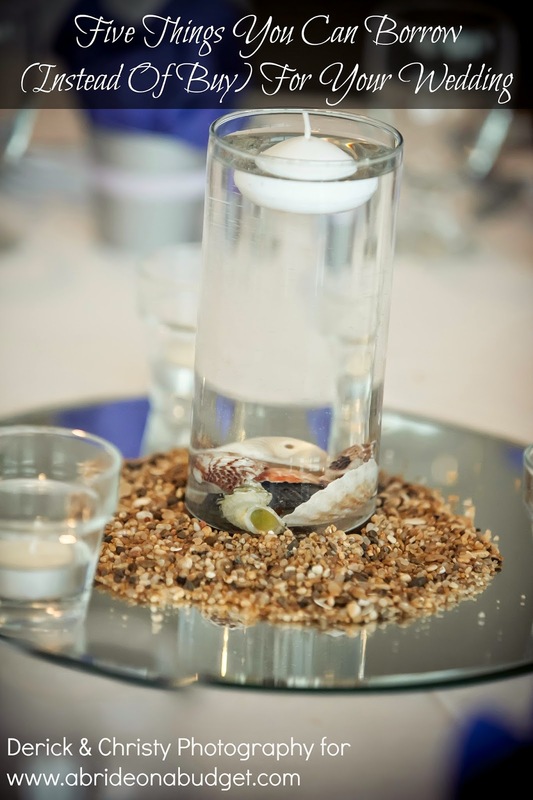 You're allowed to bring small liquids on the plane, as long as they are 3.1oz or smaller. So if you are bringing any in your carry on, put them in a separate quart-sized plastic bag (preferably one with a zipper top). Have it ready with your laptop, so when you take your laptop out for the X-ray, you can also grab your liquids. Efficiency is key. Don't lock your carry on. When you go through security, there might be a chance that your bag will need to be searched (like if you forgot you packed a full water bottle). Security will need to open your baggage. If it's locked, it's an unnecessary delay for them to wait while you find the key or enter the code. When you get to the gate, you can lock it there if you feel more comfortable, but I wouldn't do it earlier than that. If you're flying immediately after your wedding, and you plan on changing your last name after you get married, the chance of your name change going through before your trip is very slim. So remember to book your flight with your maiden name on the ticket. Your ID will still have your maiden name on it. Yes, I know, you will be super excited to be Mrs. New Last Name. And, when you're on your honeymoon, you can introduce yourself that way. But when you're at the airport, you have to be your old self for a while. Be careful what you bring back. If you're flying internationally, you'll have to go through customs on the way back. And that means filing out a customs form on the plane, declaring anything you purchased when you were away. So sure, maybe it seems like a good idea to pack fruit if you get hungry on the flight. And then it seems logical to declare it on your customs form if you never get hungry and don't eat it. But you may not be able to bring produce back in the country. And then you become me get detained at customs for declaring a banana on a flight back from Mexico. Learn from my mistakes and double check what you're able to bring back before you buy anything to bring back. Every time I fly, I make sure to sign up for flight alerts. I get a call at specific intervals with any information: if the flight is on time, delayed, canceled, gate changes, etc. This helped me avoid a three hour delay in an airport once and it helped me to know about a canceled flight and be first in line for a flight change another time. If you book via a method that doesn't offer text or phone updates, check yourself. Go online and search your airplane carrier and flight number to get up to date information. You don't want an unknown (to you) delay to ruin the start (or end) of your honeymoon. 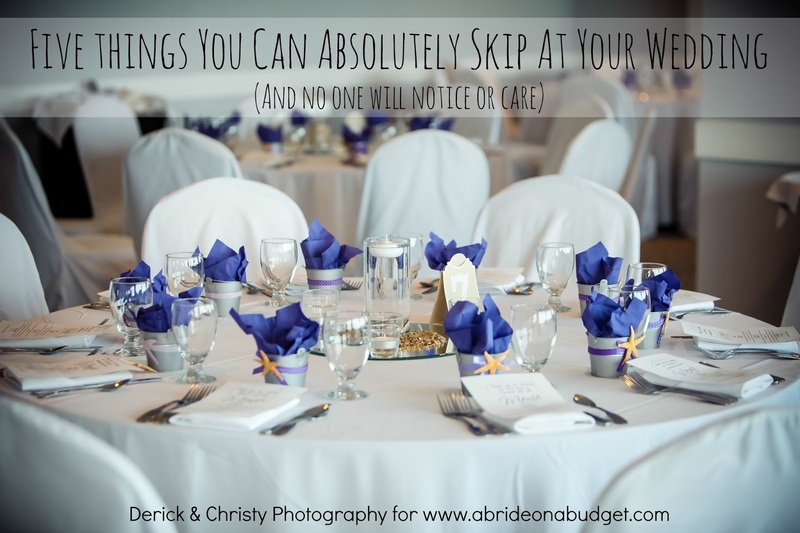 BRIDAL BABBLE: Do you fly often? What other tips do you have for couples preparing for their honeymoon flight? 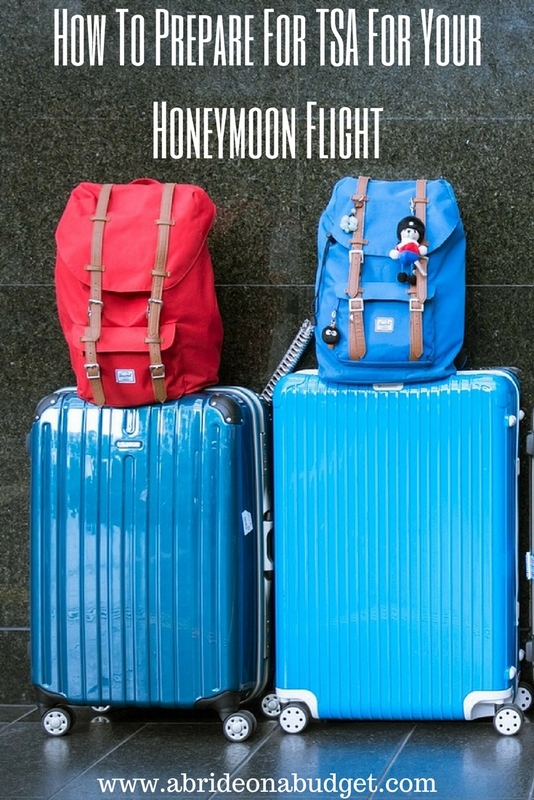 Check our Honeymoon Packing Checklist. These are awesome tips! When my new husband and I decided to fly to Europe for our honeymoon, we purchased the TSA Pre Check to get through the security check point quicker. It's so much easier to get through security without having to take off anything, and keeping my laptop in the bag.